I’m just going to come out and say it. 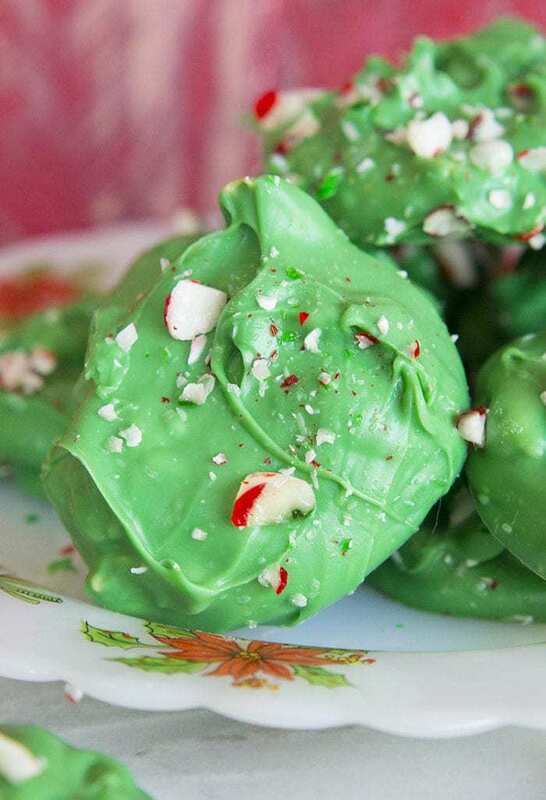 You HAVE TO make my new Minty Grinch Crock Pot Candy this Christmas. Oh heck yah, Santa Baby, why not indeed. I literally shot the video for this treat TODAY. That’s how excited I was with my new creation. I ran out first thing this morning to get green candy melts, white chocolate and candy canes. Then I wondered if peanuts and mint went together flavour-wise and had a minor panic attack. Argh! What if this was the wrench in my brilliant plan? Peanut and mint go together PERFECTLY in this crock pot candy. I should have known, there are tons of dishes that match the two flavours together but I like a good dose of self doubt every now and then. Keeps me in line, you know. Then I had another moment and freaked out about them setting. No other crock pot candy recipes used candy melts – they all use almond bark. Omg! What if I wasted all those ingredients? Damn that seductive Grinch whispering sweet green nothings in my ear! No need to panic, Magpie. These set up like a boss. I am so thrilled that I was able to get this recipe to you guys in time for your Christmas baking! 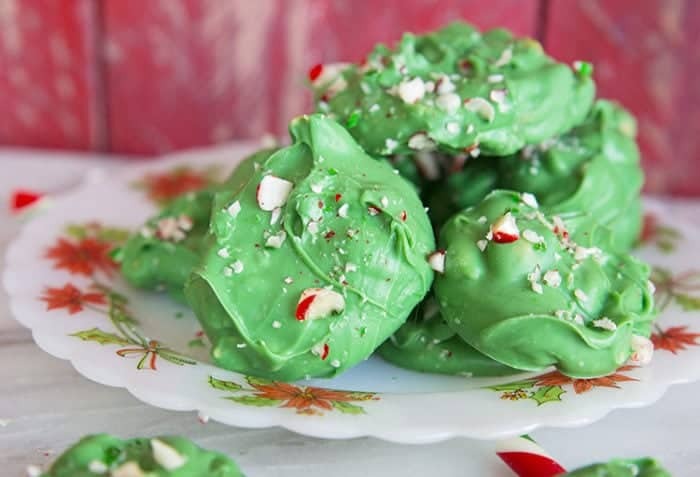 Heck, there is absolutely NO baking involved in my Minty Grinch Crock pot Candy! 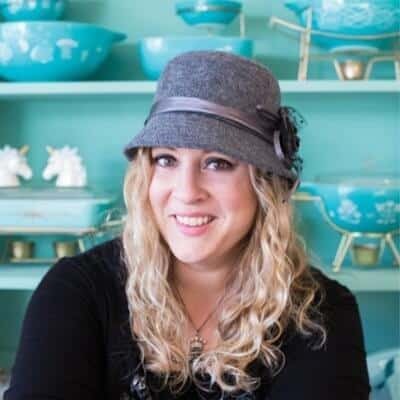 Set it in the crock pot on low, go get something else done ( or sit and have a glass of wine) and come back and finish them up. Chocolate Corn Flake Meringues – Gluten Free! Happy non-baking! Love you guys more than that Grinch! 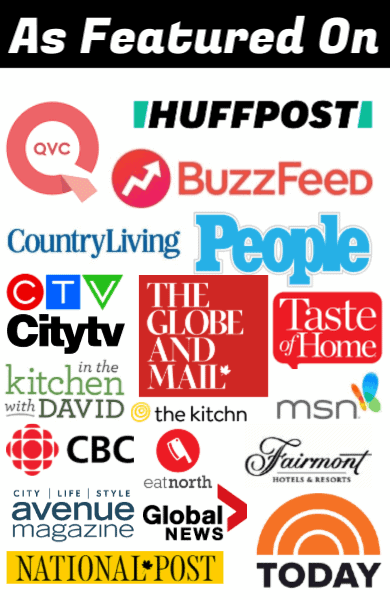 Pin this recipe to your Holiday, Christmas or Crock Pot Boards & REMEMBER TO FOLLOW ME ON PINTEREST! 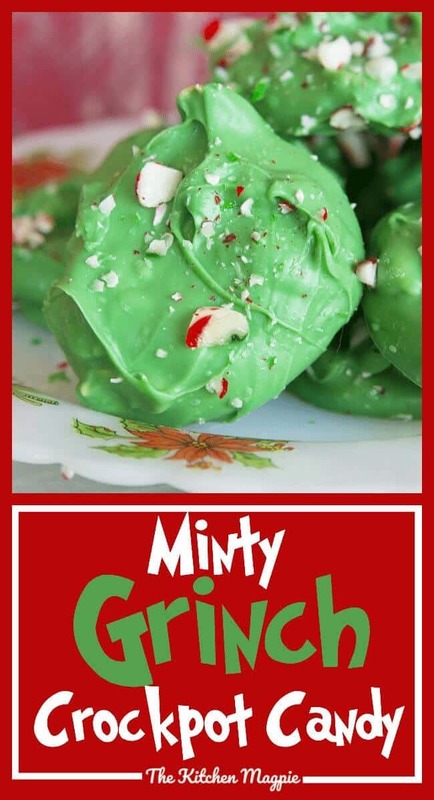 My new Minty Grinch Crockpot Candy is sure to be a family favourite for Christmas and it couldn't be easier to make! Simply put it in the crockpot and in an hour you have candy! 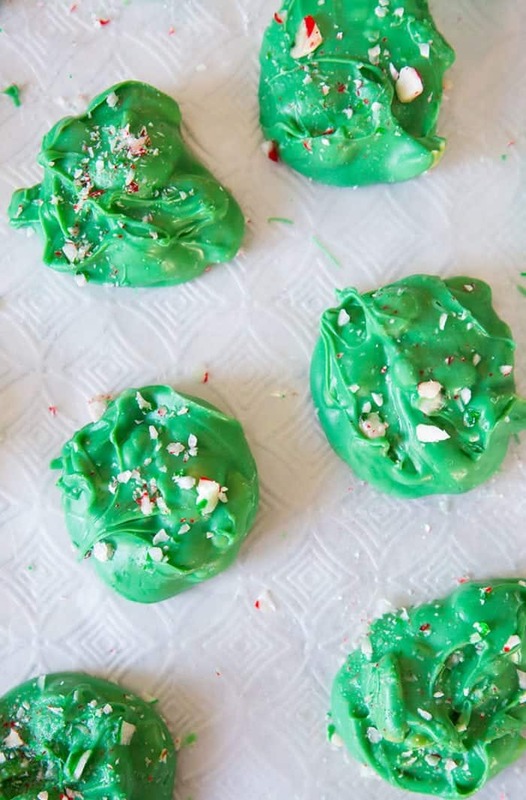 Place the green candy melted and baking chocolate into a crockpot set on LOW. Heat in the crockpot for 1 hour, or until melted. If you know that you have a crockpot that runs hot, make sure to stir every 20 minutes or so. Stir in the peanuts and the mint extract. Drop by tablespoonfuls onto waxed paper. Sprinkle with the broken candy cane. Let sit until completely cooled. Store in a sealed container or freeze. You can leave out the mint if you want and have plain chocolate and peanuts!